AUSTIN, TX — The University Interscholastic League Legislative Council met Sunday and Monday to make decisions on proposed rule changes in UIL academics, athletics, music and policy. The Legislative Council approved a rule to require participants in marching band to complete a Medical History/Pre-participation Physical Examination form before participation. The pre-participation physical needed before the first and third years of high school marching band participation, with the medical history form completed annually. 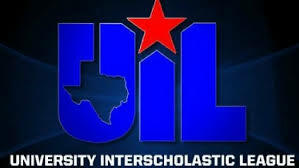 It would mirror the requirements for student-athletes who participate in UIL athletics. Additionally, the Council approved the expansion of A+ Music Memory to include grades two, seven and eight. Currently, Music Memory is available to students in grades three through six. In athletics, the Council passed an amendment that allows schools the ability to expand the summer strength and conditioning program from six weeks to the entire summer following a schedule set forth by the UIL. The amendment allows for schools to conduct two hours of skill instruction per week with a one-hour limit in one given day. To enhance health and safety measures, the Legislative Council approves rules that require schools to create venue-specific Emergency Action Plans, report catastrophic injuries that occur during UIL practices and competitions, any time an Automated External Defibrillator (AED) is utilized, and to require all 6A schools to report concussion incidents to the ConTex quality improvement project. All rule changes approved during this meeting are on the UIL website at http://www.uiltexas.org/files/media/2018OctUILLegCouncilResults.pdf. A video of today’s meeting can be viewed here: https://www.nfhsnetwork.com/events/uil/evt91ba696512. The Commissioner of Education must approve all rule changes passed by the Legislative Council before they take effect.